Late in the Apostle John's life, God gave him a vision of what would happen in the future and what the "new heaven" and "new earth" (Rev. 21:1) would be like. 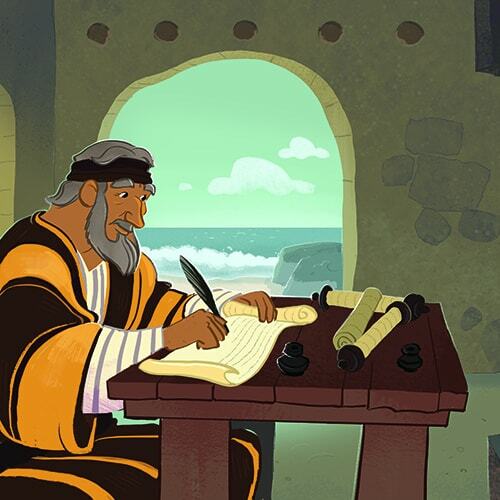 These activities will help children learn about heaven and about how Jesus has made it possible for people to live with Him in the new heaven and new earth. 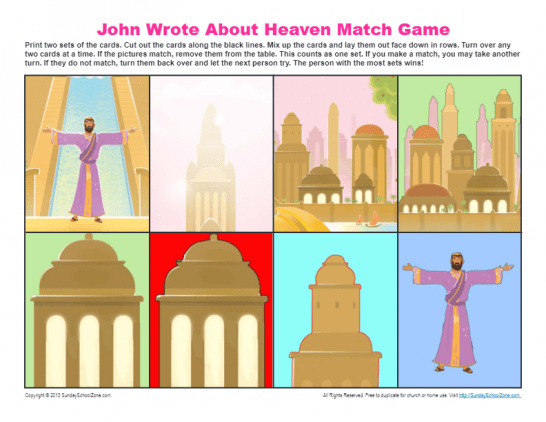 Let your kids play this match game that highlights how wonderful heaven will be, and you’ll have an opportunity to talk with them about the glorious future Jesus has planned for everyone who loves Him. This is a great Bible activity! 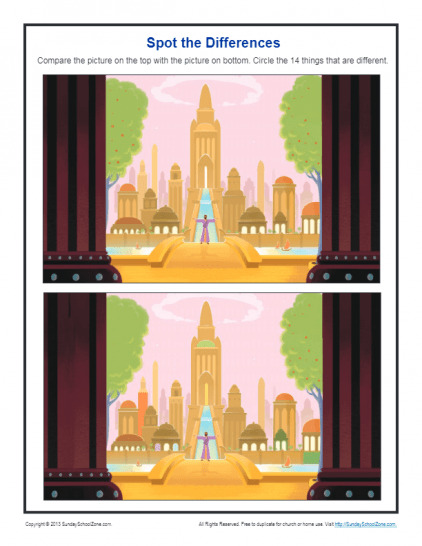 How many differences can you find between these two images of heaven? There are 14 in all, and answers are provided. This is a wonderful Bible activity!